We are very happy to welcome you and your family to St. Matthew’s community. In the Catholic tradition children are, most of the time, baptized as infants; their parents and Godparents commit to raise and guide them in the faith. When the children become older and understand right from wrong, they prepare to receive the Sacraments of Reconciliation and Eucharist, usually around Second to Fourth grade; and as they mature, they make the decision to receive Confirmation, usually at the time of their High School years. Children make these decisions gradually, through the years, as they grow and mature; with the support of their parents, godparents and their faith community. For children not baptized as infants and who have reached the 'age of reason,’ 7 years old or older, the Catholic Church has reinstated the centuries old tradition of the RCIA and has adapted it to children, to help them nurture a personal faith. What is RCIA for Children? Do not keep the children from me. The RCIA is a journey of conversion, learning, living the faith and growing closer to Jesus and his Church. The objective is to become a disciple of Jesus and gain skills on reading Scripture, praying, being of service, and become missionaries. This is a journey for the whole family, as the children are dependent on their parents or guardians and are strongly influenced by their social surroundings The Rite recognizes that this is a gradual process and for that reason, is to be extended over several years; before they receive the sacraments. At St. Matthew, we will support the parents in different ways, but won’t take their place as the primary educators of their children. At the same time, we recognize the uniqueness of each family’s situation, and will tailor the requirements as to help each family succeed at their own pace. A minimum commitment of two years is to be expected, however the RCIA insists that… The children’s progress in the formation they receive depends on the help and example of their companions and on the influence of their parents. We know that families’ live busy lives: work, school, homework, split custody and other challenges; especially after school sports and games on weekends fight for the families’ attention. Please make sure that your family will give to RCIA and to this conversion process, a high priority in your busy lives; remember that the First Commandment calls us to put God first. The catechism states: “The family is the community in which, from childhood, one can learn moral values, begin to honor God, and make good use of freedom” (2207). A Journey of Faith. Happy the people the Lord has chosen to be His own. The RCIA journey has distinctive steps: the Pre-catechumenate, the Catechumenate, the Period of Purification and Enlightenment, the Celebration of Initiation and Postbaptismal Catechesis or Mystagogy and finally, the neophyte year. At St. Matthew we have divided those steps into the First Year and the Second Year of Sacramental Preparation as structured programs, and the Neophyte Year as a flexible time to check in and rejoice. THE FIRST YEAR. The first year coincides with the Pre-catechumenate and gives families an opportunity to connect with the Church if they have been away. In the First Year, children attend two distinct weekly classes. I. The RCIA class. Takes place every Wednesday in a classroom at the Parish Hall. These are small size groups with children of different ages. Children get to know each other, cheer themselves as they progress and form community under the lovely care of their Catechists. II. Religious Education (RE). RCIA students attend RE every Sunday morning. RE takes place at St. Matthew School and children are grouped according to their current school grade. 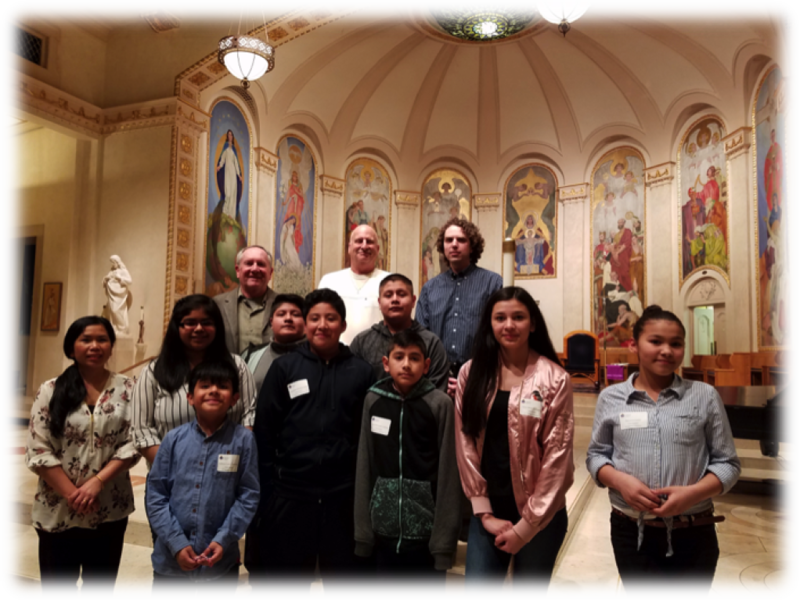 RE offers the RCIA children with the opportunity to connect with baptized piers preparing for First Communion, and an overview of the wider Church. III. Mass attendance. The source and summit of our Catholic faith takes place during the Sunday Liturgy. During the First Year, parents need to help their children understand the Mass so they look forward to participate fully. Weekly attendance is required. IV. Other Church events and Service. Jesus said for the Son of Man did not come to be served but to serve and to give his life as a ransom for many.” (Mark 10:45) The Sacraments are individual gifts to be placed at the service of the Church, we will have events and service projects to form community and to serve each other. THE SECOND YEAR. The second year goes way too fast. This intense and fast paced Second Year will see Rites, Blessings and finally, Initiation! During the Second Year students continue attending RCIA & RE classes, Mass and service projects. And if they so choose, they will participate in the Rites that slowly change their standing in the Church, from Catechumens to Elect, and finally to fully initiated. The Easter Vigil, as we celebrate the Resurrection, will see these children receive their three sacraments of initiation: Baptism, First Communion and Confirmation. MYSTAGOGY. Is basking in God’s love and mercy. 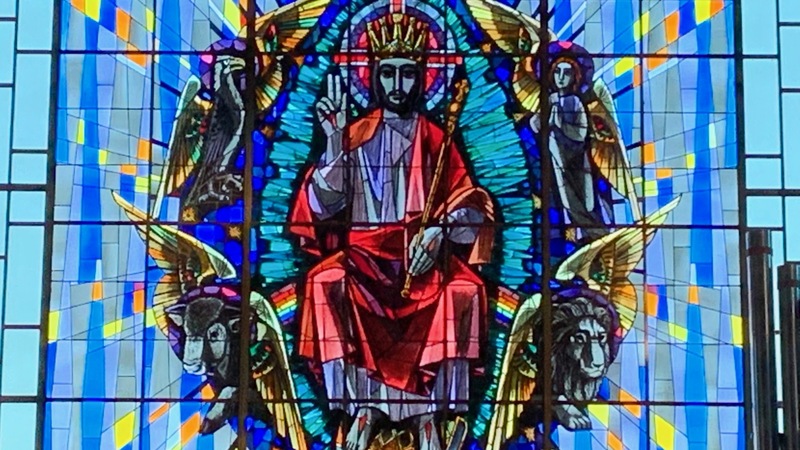 The Easter Season is the perfect time to go in deeper understanding of the Resurrection and of the beginnings or the Church, as well as to experience the Sacrament of Reconciliation. And we will celebrate as our RE classmates receive First Communion! THE NEOPHYTE YEAR. Come and say hello. Families will be invited to share their experience with the new families and to continue getting support from all of us. We want to hear how are you growing closer to Jesus! Godparents offer very important support to both families and Catechists. They are invested in the wellbeing of the children and their voice carries special weight. Please include them in your children’s preparation as soon as possible beginning the First Year. Because they are performing an Officium in the Church and will have active roles during the Rites, their requirements are similar to those for Infant Baptism. To help them better understand their role as Godparents, they will attend the Baptism class in the First Year and will have special meetings and opportunities during the Second Year. Please choose Godparents that live close so they participate in the preparation of the children. Other family members like Grandparents, Aunts and Uncles are good sources of support. Ask them to share with your kids their memories or preparing to receive First Communion and Confirmation. What are the goals of RCIA for Children? To grow in friendship with Jesus Christ and his Church. To develop a prayer life. To learn about the Bible, the sacraments, and the Catholic Faith. To realize the importance of family and of a community of faith. To form a desire for the sacraments of initiation: Baptism, Communion, and Confirmation. To become an active member of the Church. 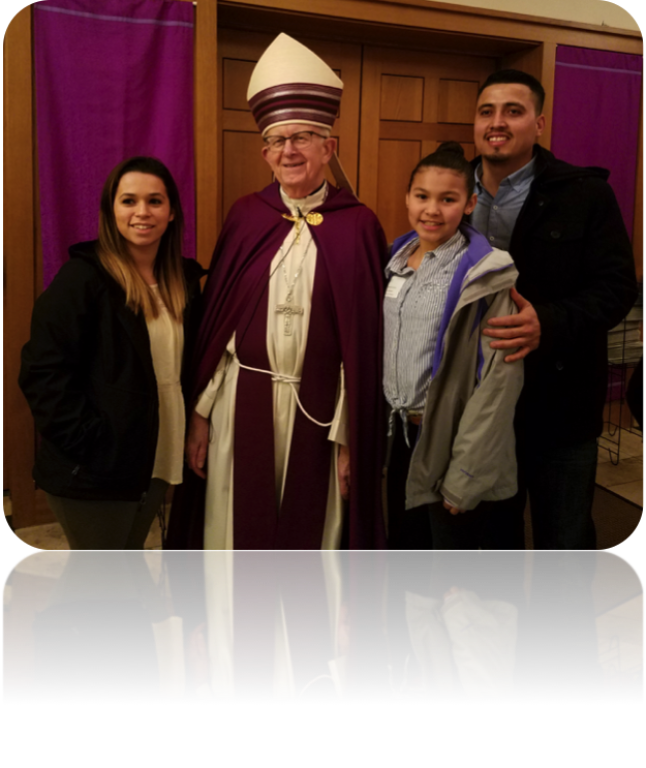 St. Matthew School families whose children would like to receive Baptism, First Communion and Confirmation, are encouraged to talk to Irma Vasquez and together decide the best course of action. Please be aware that the Archdiocese of Portland requires that a family intents to live a Catholic lifestyle for a child to become Catholic. At least one parent must be Catholic, or in the process of becoming Catholic for their child to start RCIA. Family support and agreement plus regular Sunday Mass attendance is very important. The School cannot take the place of the family in raising a child Catholic, but the school offers an invaluable support system. Because St. Matthew students receive Religious Education several days a week, a student that has been attending the Catholic school for at least one year, may have the First Year requirement of Religious Education waived, provided that he/she can demonstrated basic knowledge and understanding of the Catholic faith. 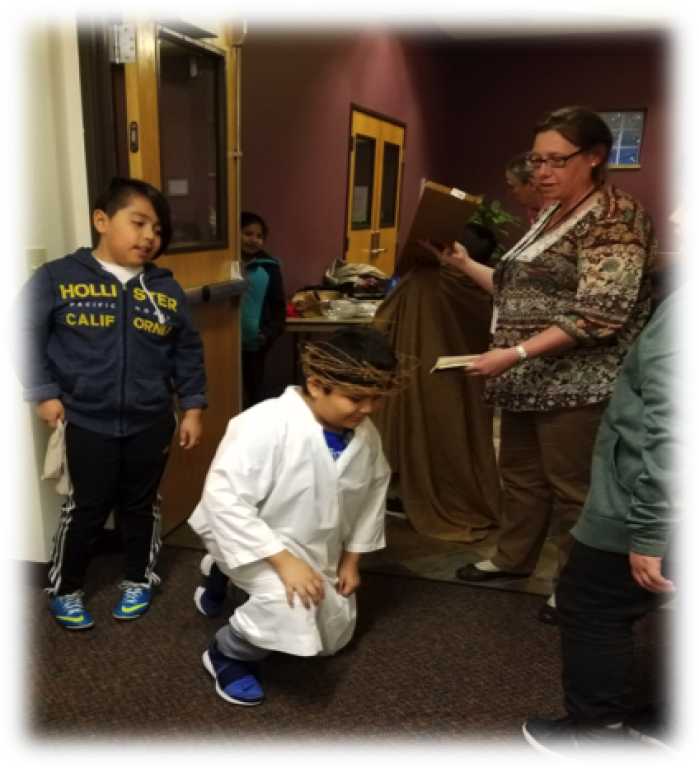 Then, a student at St. Matthew Catholic School could start his/her RCIA formation at the Second Year level if the family support is in place. Because each family has different challenges, please contact Irma Vasquez as each case will be decided on an individually basis. RCIA classes in 2017 will begin August 23 since Lent in 2018 is early. Please register soon, as RE classes do fill up. CONTACT: Irma Vasquez at 503-648-1998, x246 or email IVasquez@stmatthewhillsboro.org.